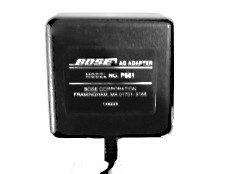 9 VAC 1 Amp Wall Mount Transformer This little transformer puts out alternating current and has a 5.5 OD x 2.1 mm ID barrel connector. UL, CSA, Class 2 transformer. 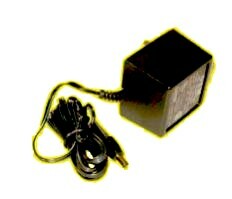 10VAC 800 mA 10VAC/800mA wall transformer 10VAC/800mA. Input: 120VAC/60Hz. 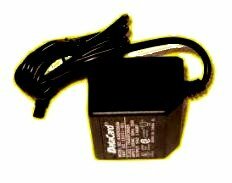 2-1/4"L x 1-7/8"W x 1-1/2"H. output cord terminated in 2.1/5.0 mm barrel jack with 11mm shank. Class 2. Input; 120VAC/60Hz/20VA. UL/CSA. Class 2. Output cord terminated in 2.1/5.0mm barrel jack with 10mm shank. Quality screw assembled construction. 10 foot "zip" cord output.